TDI-Tuning develops systems that are custom engineered for the specific engine they are being installed on. We have tested and developed systems for over 6000 individual vehicles, each with 7 different power settings. And we also keep up with the latest releases ensuring we provide systems with industry leading gains, and complete reliability. To achieve this we study an engine in real word situations by getting hands on, and driving the vehicle on the road. Gathering real world data allows us to engineer systems capable of optimising your vehicle for pretty much any scenario you are likely to face. Your TDI-Tuning system can provide you with optimised fuel economy for when you’re stuck in traffic, or maximum power and torque for when you’re racing around a track! For particularly complicated or high performance engines the development process needs to be taken a step further. This is where the dyno comes in. 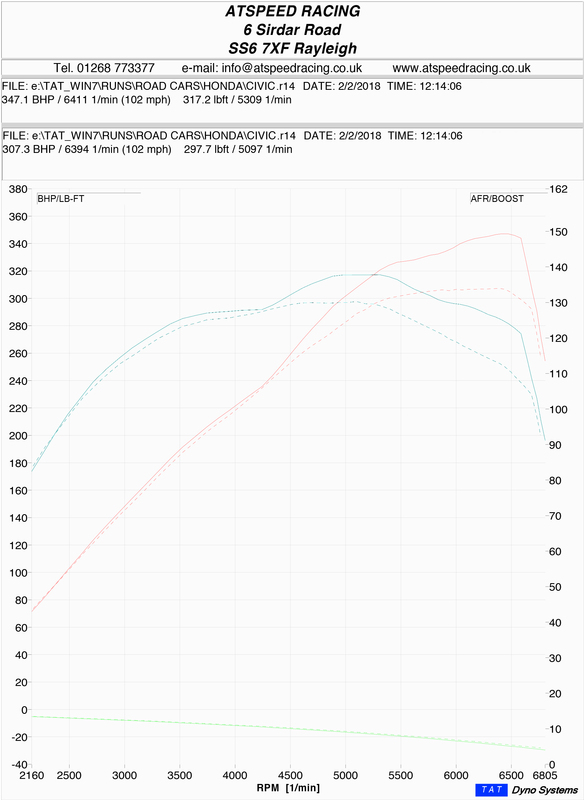 Typically, data gathered in a ‘real-world’ situation is more applicable to the every-day driver, but developing optimal maps for cars such as the new Civic Type R requires close up inspection of the air/fuel ratio and turbo delivery in granular detail. With the CRTD4 system installed we fired up the 2.0L Type R engine and fully explored its capabilities! Multiple runs and a full tank of fuel are required, and you are constantly battling issues- for example getting the Civic into its ‘R’ mode whilst on the Dyno is harder than its sounds. Cars do not like Dyno’s, especially clever ones! During each run data was being collected and the maps were being tuned by our lead technician accordingly. His job is to optimise the performance of the standard vehicle and package it in the CRTD4 tuning system for every Type R owner to enjoy! After multiple runs and many hours of finessing the results were in. 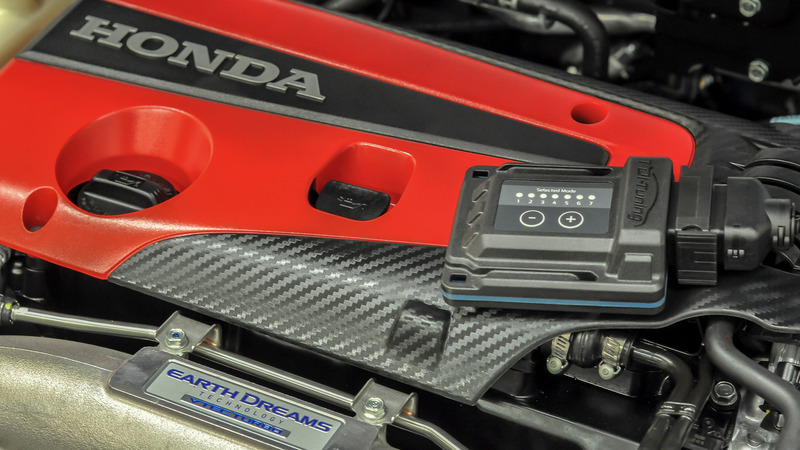 On its maximum performance setting the CRTD4 system has unlocked an additional 32 BHP and an extra 40 NM of torque from the Civic Type R.
For a plug-and-play tuning product this is a great increase. Also, the CRTD4 system does not make any permanent modifications to the vehicle and is designed to be installed whilst keeping your warranty, service record, and re-sale value intact. Removing the system will return the vehicle back to its stock condition, allowing you to enjoy the benefits of additional power and torque with zero risk. 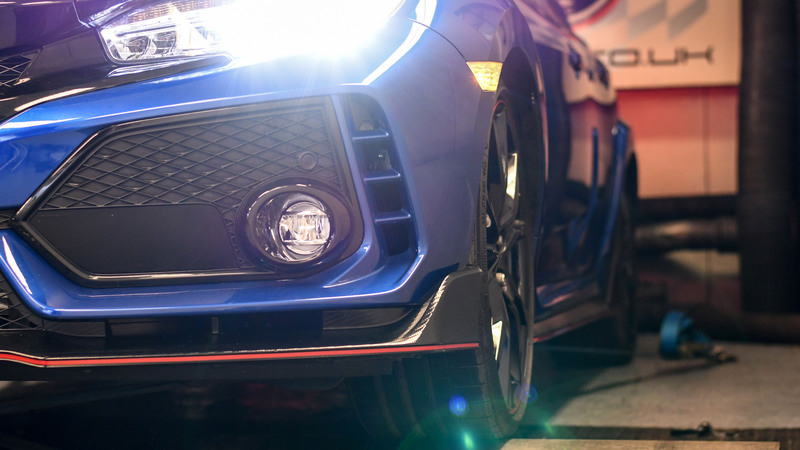 The CRTD4 system for the new Civic Type R is now ready to roll! Not to mention the other 6000+ tuning systems!